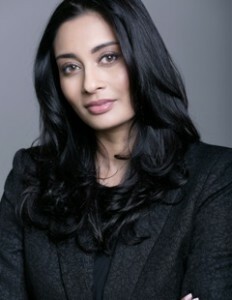 Submitted by Veerash Srikison, advocate and internationally accredited civil and commercial mediator at Fair Pratice – Family and Legal Mediation Services, Johannesburg. Click here for further information on family mediation and how it can benefit you and your family. As the holiday break approaches you may find yourself in the midst of spending quality time with your child(ren). No schedules, no routines, no bedtime curfews just you covering the basics – feeding times, rest times, and fun times. This quality time you have with your child(ren) is your best time with them, and here are some ways you can make the most of it and create an everlasting bond with them. 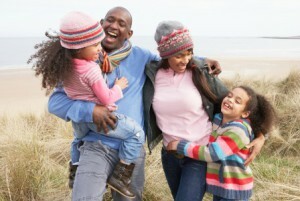 Do not stress about how your family appears, single parent or not, involved extended family or not. Your child(ren) have been looking forward to spending this holiday break with you. During this time you should try not to have deadlines, constant demands from your work schedule or surrounding yourself with disruptive people. You should feel that your child(ren) deserve to get as much affection and attention from you with as much energy as you can muster. If time seems to slow down enlist the help of a friend or family member to watch over your child(ren) while you take a little time out for yourself. They will be better off once you come back with refreshed energy to spend time with them and the holidays should progress more smoothly. Tell yourself that it is not the end of the world if you all skip a healthy meal now and again and indulge on the lighter side of life and just eat “whatever” together. Smile more often and laugh louder than they have ever heard you laugh. Do childish activities with them and share your favourite childhood stories during bed time. Get out some of your favourite music you heard growing up and show them your moves and get them to show you theirs. Dancing brings a sense of abandonment and your children will feel comfortable watching you lose control with them and just have fun. Have a dance off and try to copy or beat each other with your own made up steps. Have heart-to-heart chats and listen attentively while they talk. Control the voices in your head that tell you to hurry them up or give out instructions continuously. Explore what they have accomplished throughout the year, even if it was growing a few centimetres taller or moving up a shoe size. Teach your children to speak up and to speak for themselves. Practice talking loudly and assertively with them so that their confidence comes out in their voices, and teach them the difference between respectful words and disrespectful, hurtful words. Tell them also that their voice can be used as a weapon in any situation and not to be afraid to call out for help. Let them know their point of safety is you and that you will listen to whatever they need to say. Be there for your child(ren). Show love with your gentle words and touch. It’s the season to be grateful and to show gratitude. Teach them the value of gratitude and give them opportunities to share with you moments where they were grateful to someone and why. Your quality time with your child(ren) should be just that, filled with memories and moments that will bring out the best in you. Empower your child(ren) to know that you can be trusted to be there for them and that you lead by example. The holiday break should be one you are looking forward to. So rules aside get your children to throw in some suggestions on what they would like to do. Planning to have the best time ever should be everyone’s priority.